Khushbir was born in Athens Greece, and moved to the United States at age 3. He lives in Salt Lake City, Utah. He has a degree in Philosophy, is a Professional Land Surveyor, and rents and remodels old houses. 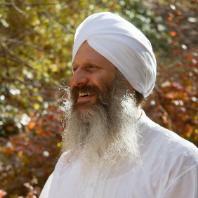 Over 20 years ago Khushbir started teaching kundalini yoga, and currently teaches classes at Dancing Cranes Imports, www.dancingcranesimports.com. For more information about classes in Utah go to www.3houtah.org. 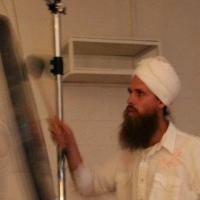 Khushbir teachs in teacher trainings worldwide. Some of his specialties include breathing techniques, postural alignment, physical yoga, and mantra. Khushbir enjoys barefoot waterskiing, cooking, and traveling the world visiting friends and practicing yoga.